Was £119 - Only £59.50! A super gentle way to detangle hair. Founded in 2012, innovative hair company ikoo is driven by a unique philosophy and ‘affordable luxury’ approach. Launching successfully with the ikoo brush, home and pocket in 2013, the brand continues to go from strength to strength following organic growth and immediate reception as an emerging talent in the beauty and hair care industry. The ikoo home brush is expertly designed to be highly functional yet stylish. With a ‘Chessboard Function’ bristle panel designed by traditional Chinese medicine doctors, the four long and four short bristle structures provide painless detangling. Crafted without the use of animal glues, the ikoo brushes are also suitable for vegans. Transform the condition of your hair with an innovative hair masque feature. 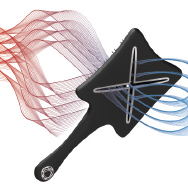 See the technology behind the Paddle X Brush by ikoo today! See the results of the ikoo e-styler! A gentler, easier way to straighten hair. 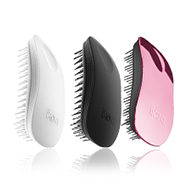 For those who wish to keep their favourite ikoo brush with them on the go, the ikoo pocket comes with a cap to ensure bristles are protected from dust, dirt and handbag contents! Smaller than the home brush, the pocket is just as powerful and functions in the same way as the larger home brush. 2015 saw the launch of the on-trend Metallic Collection, gaining further market attention and the following year the brand launched its innovative hair straightening brush and first electronic product, the e-styler. Loved by the hair and beauty industry, the e-styler was recently tested and featured by The Good Housekeeping Institute and also featured in November 2017 on Marie Claire online. The paddle X, ikoo’s innovative paddle brush with an x-shaped ventilation system is also a firm fan favourite, shortlisted as the best styling brush 2017. 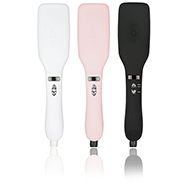 Designed especially for optimum air circulation, it’s the perfect brush for use during the blow drying process. More recently, the brand also launched the first of its kind thermal treatment wrap to huge demand. 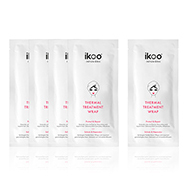 Working to detoxify hair from damaging environmental influencers while revitalising the scalp, the innovative product embodies the ikoo brand ethos perfectly. So if you’re seeking innovation in hair care, look no further than ikoo.